Ignorance is bliss – until you’re no longer ignorant. I walk into a patient’s room. The chart says it’s a 3 year old girl with a rash. I check the rash and notice a bruise in an unusual area. I try to ignore the bruise since, after all, the family came in for the rash. The little girl is precocious, though, and can’t help oversharing. “My father likes to kiss my booboo away” she says. She doesn’t understand the significance of what she just told me. But now I know. I am fully aware of the bomb this little girl has dropped in my lap. I am no longer an ignorant bystander and my knowing changes everything. I now have to decide: will I be an ally to the little girl, or will I ignore her statement by awkwardly laughing it off? Will I simply try to explain it away? Mind you, she’s only 3. What do little 3 year-old little girls know about kisses and booboos? Her mother acts like she didn’t hear. I almost convince myself that I didn’t hear the girl’s statement correctly. But I know deep in my heart, I know what I’ve heard, and I know that it’s true. I am a mandated reporter of child abuse. I am a pediatric Emergency room physician. I look for signs of abuse. I listen and watch and never assume the best or the worst about anyone or anything. But I am called and have vowed to be an advocate for children. I will do whatever needs to be done, so help me God, to stop any pain wrongly inflicted on a child. Or an adolescent. Or any man or woman who has been wrongly touched, abused, or hurt in any way. It’s my job to know. It’s my privilege to know. It’s my duty to report. Up until now that privilege and duty was restricted to a few professionals: school teachers, counselors, doctors, social workers etc. Sunday school teachers were exempt. Pastors were exempt. Friends and family were exempt. Which means that if you weren’t looking for signs of abuse, you didn’t think about it, you didn’t look for it, you didn’t see the world with the filter of the reality of abuse. Up until now, ignorance was bliss. And then the Catholic Church scandal of abuse broke out. How could such a cover up last for so long? Why didn’t anyone believe the children? And then the US gymnastic team scandal broke out. We watched in horrified agony as women stated to have reported the abuse, only to be ignored by the very professionals that should have protected them. This year the Southern Baptists are facing their own dirty secrets. We no longer live in a world blissfully ignorant. And thank God for that. Now that we know, we must decide. Will we believe the 3 year-old girl who tells us that daddy kissed her booboo away in a place he should almost never touch? Will we believe the many who have voiced their pain, much to their shame and embarrassment? Now that we know, we must decide. What kind of people will we be? Will we give victims the benefit of the doubt, or will we assume the best about the abusers? Now that we know, will we seek justice where it’s needed and protect the weak? Now that we know we must decide how we will live going forward. Now that we know, our knowing changes everything. So many people have recently asked me why I left Harvest Bible Chapel when I did. 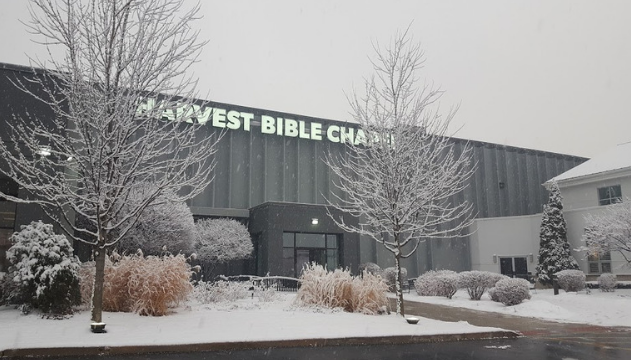 I attended Harvest Bible Chapel for over 8 years and served as the Women’s Ministry Director at the Rolling Meadows campus for three of those years (that’s the flagship original campus by the way). I left the church 4 years ago, the week after 3 elders were publicly ex-communicated on a cheap home made movie not worthy of one wasted second of the worship service. By then there were so many small things that weren’t so small and added up to big things that could have explained my leaving, but to me, that video was the tipping point. Mind you, I didn’t simply walk out. The day I watched the video, I emailed my campus pastor and asked for an explanation. I was brushed off. I then called an elder who was a friend and someone I trusted. He did the same. So I called one of the elders in the video and got his side of the story. I am ashamed to say that after being a member at Harvest for 8 years, that was the first real conversation I had had with an elder about the state of affairs of the church at that time. A year or so before leaving Harvest I had written a blog post about holiness in which I had referenced the growing fad of tattoos in our culture. I hadn’t realized that James had gotten a tattoo that week. My blog had indirectly undermined James. As a result, I was asked to meet with the elders, pull the blog piece and write a new one that James would first approve. James ended up sending me a copy of the new approved blog post, and out of fear, I complied. I didn’t want to be rebellious against authority. I also managed to write an apology to James for the pain I had caused him. I regret staying at Harvest after that meeting with the elders. I should have left that week, but I was too afraid to cause damage to Jesus and His kingdom and the women I was leading at that time. By the time I left, I had discovered something dark about myself: I was a woman ruled by fear. I didn’t want to upset James. I didn’t want to risk any negative impacts on my own growing ministry. My first two books were scheduled to be released smack in the middle of that summer, and I didn’t want to impact their potential – not to mention that James had agreed to write the forward on my first book. Still, even I knew when enough was enough. There is no question in my mind that what I did see and experience increasingly at Harvest was a culture that functioned and was sustained by fear and the desire to please James at any cost. The higher the leadership level was, the more protective of James they were. I was counted as one of the privileged ones and considered it a great honor to know James personally and even be considered as part of his inner circle at that time. 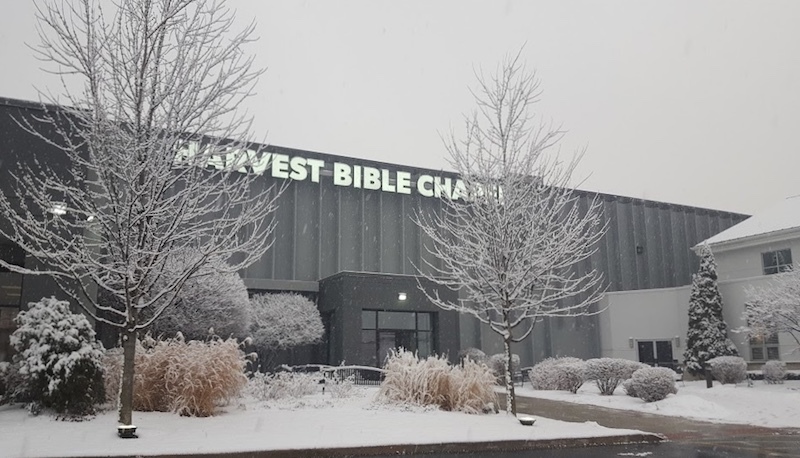 The more I think about the demise of Harvest Bible Chapel and James MacDonald, the more I believe that fear is the cancer at the root of it all – specifically the fear of James MacDonald. I did not fear God as much as I feared James and longed for his approval. Until recently, I thought I had escaped my fear by leaving Harvest, but I was still afraid. Perhaps my fear had its legitimate reasons. I still had friends on the inside that I longed to remain friends with. With my life and schedule, my friends are few and far between, and have always been aware that my saying anything publicly about Harvest or James would jeopardize those friendships that I still love and value so much. After leaving Harvest no one from the church reached out to me to see how I was doing, to ask why I left. Were they afraid? Were they unaware of what was happening behind the scenes? Did they not find that video shocking? Yet their silence hurt me and sometimes made me question the validity of my reasons for leaving. I wondered where God was in the narrative. 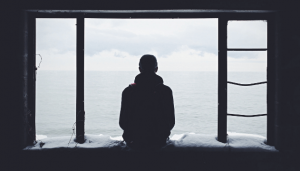 I kept thinking people would wake up and see the truth and understand that my leaving was not a betrayal to James but a stance against his leadership style, and the leadership style of the XLT, and James’ sons, and most of the remaining elders. I was wrong in hindsight. Leaving without speaking up was still an act of cowardice and self-preservation. I regret my own weaknesses, my love for the approval of others. But as every Christian knows, we walk and we live by grace. Christ’s grace saves us and sustains us. I have wondered if Harvest Bible Chapel (the organization) is worth the cost it’s taken to try and save it? Will James not wake up and realize that the Church of Jesus Christ is not the organization or nonprofits we create, but the men and women that God calls and saves by the sacrifice of His Son? We are the Church! When the Church becomes the organization instead of the people, then it ceases to be the Church. The Church of Jesus Christ is not the organization or nonprofits we create, but the men and women that God calls and saves by the sacrifice of His Son. We are the Church! When the Church becomes the organization instead of the people, then it ceases to be the Church. Many might wonder why it all still matters to me so much. I have since moved on and seen God do some pretty amazing God-sized miracles in my life and ministry (evidently, God does work outside of the walls of Harvest Bible Chapel!). Yet a week ago I posted on FB an invitation to open my house to anyone who needed to talk about their pain as it related to what was happening at Harvest. That night changed me. While only a handful showed up, the range of their pain was wide. Some women were still in the middle of the trauma and were still currently attending Harvest. Others had old wounds that had resurfaced and were hurting, having never felt closure to their stories. For years, they had been made to feel like the outcasts, but finally vindication in its godly form was working its way out. And still some came because their loved ones and spouses have abandoned the faith completely and now refuse to go to church – and they long to understand why. While regret can’t look back, we now live in a different era than we did four years ago. God is purifying His Church. Hidden things have come to light. Christ followers are saying enough. We won’t let fear overcome the freedom we’ve been given in Christ. And I won’t stand in the way of Christ’s work. The current leadership at Harvest Bible Chapel including Luke and Landon and Rick and Mo and Jeff and the CFO are infected by the cancer of fear and control. This cancer must be excised and as often as is the case in cancer treatment, months of treatment must be involved for health to take place. While I have no say in the future of Harvest, it is ridiculous to think that any healthy future can take place until the cancer is removed. We are taught in God’s Word that it is Christ’s love that ought to control us. I pray that moving forward, His love will control me no matter the consequences. I pray that no stench of fear be found in any space occupied by Christ’s love. The confidence I hang on to today is that whether I am approved or critiqued for this opinion, it is Christ’s love that will catch me and his arms that will continue to sustain me when I close my eyes at the end of each new day. This year was the year of our app launch. What a huge milestone this has been for us. Our resources are now literally available at your fingertips. The potential in this app is awesome and wait until you see all that’s coming here next year. I am so proud of Irina for making this happen. This was also the year we launched Morning Minutes. We’ve studied three books of the Bible together so far: James, Ruth and Esther. We’ve gotten more positive feedback about this Bible study format than anything we’ve done to date. Around the same time Morning Minutes started we dropped our first FaithBooster which has been such an awesome project to encourage many of you guys. In the books department: ‘Resolved’ came out in Arabic in October. I also got to contribute to “Utmost Ongoing,” honoring the legacy of Oswald Chambers. In Bible study production: we recorded a 5 week video Bible study series of the book of James that will launch next year. We also put together the Change Series which continues to impact so many. Today’s Single Christian continues to air on over 180 Moody affiliate stations in the US. Speaking of Moody Radio, their support of me has been overwhelming. I’ve been a regular on many featured shows including Chris Brooks who highlighted Resolved as his October resource of the month, Chris Fabry and Karl Claussen. The speaking ministry has been busting at the seams: I honestly can’t keep track of all the opportunities I had to speak all over the world in 2017. Many of you were present at the conferences/retreats. I hope we got to meet in person. I can testify of thousands of lives impacted for the Lord through the speaking ministry and so many who gave their lives to Jesus for the first time. The global ministry continues to expand and get stronger in focus. We had the honor of serving thousands of Syrian refugees in 3 medical mission clinics last year in Lebanon. This wouldn’t have been possible without your support and donations. Thank you! This last year has been special as my team has continued to grow. Irina continues to be a huge support and basically makes everything happen. Kim Klaver joined our team recently too, heading up the prayer ministry. I also hired an agent this year: Karen Hardin. I am so grateful for her. She has been a huge help to me and was the reason Thrive made it to YouVersion. I’ve also been working with Dave Jones at M is Good marketing. Dave is behind so much of the focused messaging at LWP. You might have noticed the Dave effect on some of the positive changes on the website. Oh, and I joined the Judson University board in 2017. I love Judson. As for me personally, this was a year of major transition as I moved from Emergency Medicine to Telemedicine. This is the year I became debt free and able to dedicate more time and focus to the ministry. What a gift to be able to write this. I have had no regrets in my decisions and continue to figure out how to balance all the balls God has allowed me to juggle. And in case you’re wondering, nothing has changed for me personally personally! Still single and loving it. Finally, as I wrap up this short summary of a very busy year let me confess to you that there is nothing greater than living a life fully surrendered to Jesus. I feel like I’m on the most thrilling adventure I could ever ask for. This year God has strengthened my resolve to reach even more people with the hope of the gospel. I feel energized for what’s to come and excited about the future like never before. I love each of you and hope we’re serving you well. We read every email you send us and pray for you as personally as we can. We are grateful for every word you’ve sent to encourage us, every prayer you’ve prayed on our behalf and every dollar you’ve sacrificed to allow us to do more for God’s kingdom! Please let us know how we can better serve you in 2018. We have so many awesome things coming for you in 2018. Let’s do this together! Let’s keep pointing to Jesus. He’s the reason we do it all and He’s the reason we breathe. I hope you love him more today than you did this time last year! Do you ever wonder what God thinks about sexual assault and harassment? The Bible is clear, God hates it! But there is hope in the darkness. 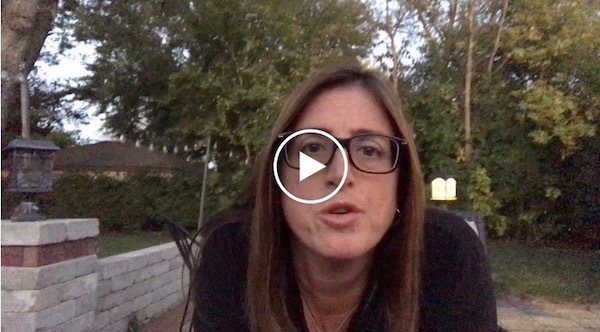 In the wake of the Harvey Weinstein scandal, I can’t help but share a few thoughts on what we as Christians can do to support victims of sexual assault. Miracles. We all love them, hope for them, wait for them, pray for them. How many of us haven’t been inspired by the story of Jesus raising his friend Lazarus in John 11, and hoped for God to move the stone in our life and bring our Lazarus back to life? Why do some see their miracles come to life while others stare on with painful longing? 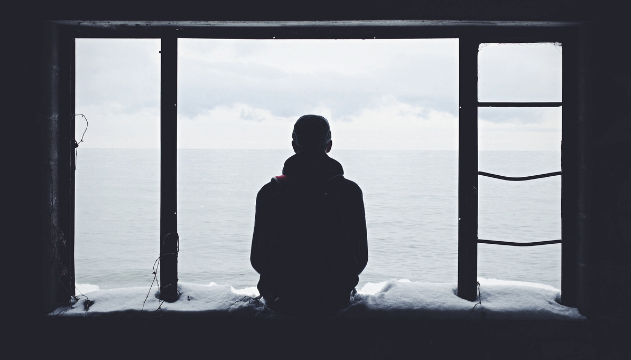 Why does Jesus seem so far when you want him to be near? Why does he seem so silent when you want him to speak? What I have learned in my life is that there is a greater miracle than the miracle of getting what I want. And it is the miracle of receiving exactly what I need. 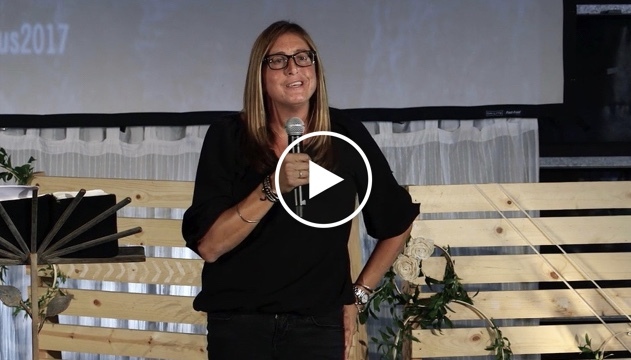 Listen to this talk I recently gave at Simply Jesus Gathering. I hope it will encourage and comfort you greatly. 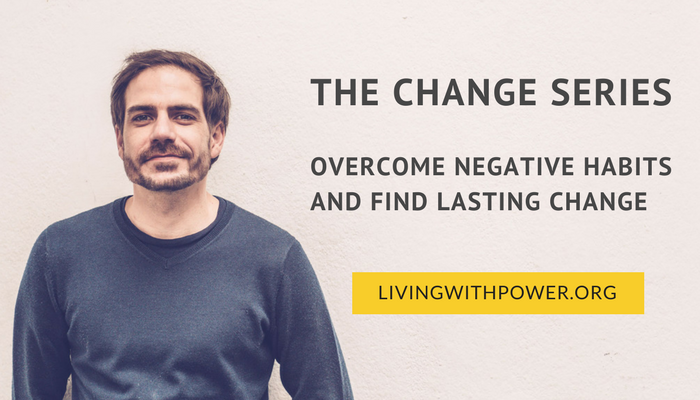 I’ve just been on the Living A Life Unleashed Podcast with Lisa Bishop. Listen in as we unpack what it means to live unleashed. We’re touching on tons of relevant topics, such as comparison, the fear of failure, the need for affirmation, disappointment, self-worth, vulnerability, obstacles, courage, how to live out your calling or dream, how to believe for visions bigger than yourself, God’s intervention on our path. You’re gonna be inspired to live unleashed! Morning Minutes is a 5 minute daily audio devotional through one book of the Bible with Lina Abujamra. The next Morning Minutes series will start September 2019, and you can access all past studies on our Bible Study Page or the Living With Power app (download below). Get into God’s Word in 2019 with Insta Minutes! To help you read the Bible more consistently this year, Lina started a short study on Instagram called Insta Minutes. Follow her on Insta and watch each weekday a 3 minute video study that will take your through the Bible this year. Next Morning Minutes series will start September 2019, and you can access past studies on our Bible Study Page or the Living With Power app (download below). Today is a great day to fill you in on what’s been going on in my life. I covet your prayers and look forward to what the future holds! Deep down everybody wants to change something. Would you change a habit you’ve tried hard to quit and failed? Would you finally put your past behind you if you could? Would you follow through on that diet you’ve been putting off forever? 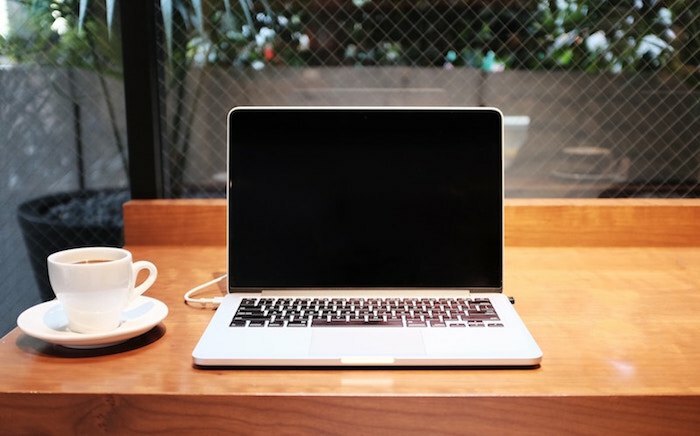 Would you change your job? Your relationship statuses? Your reactions to difficult circumstances? Deep down we all want to change. We just need help doing it. Did you know that God is a God of change? He is in the transformation business. All you need to do is ask. I am so on board with God’s plan to change us that I put together a 4 week online teaching series for you to help you change. You don’t have to live in frustration anymore. You don’t have to give in to your negative emotions. 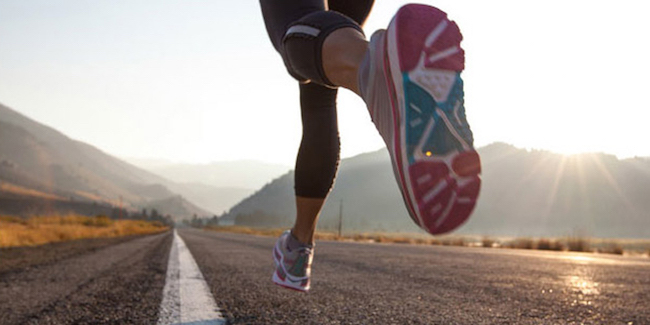 First, watch this video that will help motivate you. Then Click HERE to get the Change Series. We’re in this with you! I’ve poured my life to help you get stronger in the Lord. I believe this Change Series will help you do it. We’ve priced it at $20 for you but we believe the series is worth much more for you. We believe this series is truly priceless and will help you finally see the changes in your life that you’ve longed for. You need to know that every dollar we get for this series will go towards our medical work with Syrian refugees. Our next trip to Lebanon is September 8-15. So do me a favor? Then share this with your friends. Retweet it. Share it on FB. Email it to someone. Spread the word that change is possible. Let everyone know that God is for us. He wants us to change and grow and become stronger. Do you still have questions? 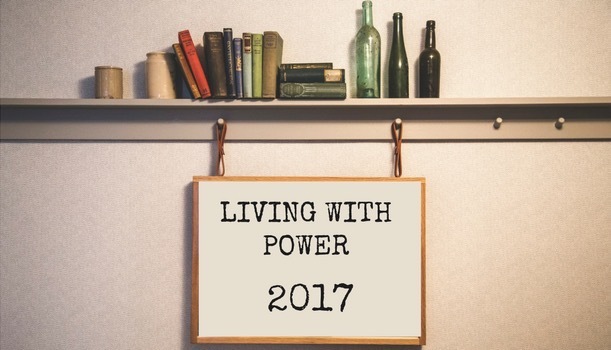 Go ahead and leave me a comment or email me lina@livingwithpower.org. Ready to get the change series? Click here to get it. Once you purchase it you’ll get an email with a link to the 4 week teaching as well as a Study Guide that goes along with it. Oh, yeah, you can do this study with your small group too. Or just do it on your own. But know that you’re not alone in this. We’re for you. I’m for you. But more importantly, God is for you! All right. Before I start sounding like an infomercial, I’ll stop. Can you tell I’m pretty pumped about the Change Series? It’s because I’m pumped about you! 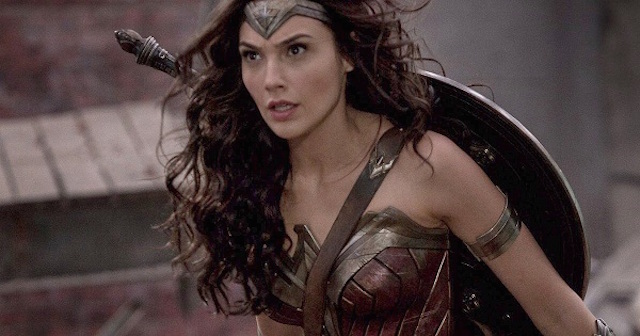 Can Wonder Woman Save the World? You ever try to run your world? And quickly realize you can't. You're a complete failure at it. You can't even get the basics right - or at least that's my story. Kathy Lee. Donald Trump. And everyone else in between. It's not hard to comprehend why we long for a super hero - at this point any one will do. Even the staunchest chauvinists are intrigued by the concept of a woman super hero. If Batman couldn't save the world maybe Wonder Woman will. I tried to do a spinal tap on an 11 day old recently. I've been in practice for 15 years and can do this procedure in my sleep. Heck, I love this procedure. I tried once, twice, and nothing. It was a bust and I felt like a complete failure. I could hardly look the parents in the eyes as I filled them in. I started my usual chain reaction of beating myself up on the head, of telling myself I'm good for nothing, a total loser. The world and all its messes felt far away. I had my own personal disasters to tend to. I was too steeped in my own self pity to care about the rest of the world. I could fake it on twitter, but frankly, Manchester is a million miles away. Where was my super hero when I needed one? Then it hit me: somewhere along the way I'd bought into the lie that I'm supposed to be the super hero - the Wonder Woman who would sweep in and make everything better for everyone. And when Wonder Woman fails - which she ultimately will - then what happens? I am not in control and it hurts to admit it. It hurts my pride. It hurts my heart. And it hurts the people I'm desperately trying to help. You ever try to run your world and fail so miserably you don't even want to be with yourself? I usually have to get to the bottom of the pit before I have the unction to look up. And then it hits me. I am not in control and it is the most intoxicating feeling in the world. I don't have to fix everything all the time. I don't have to save the world. But there is one who can. There is a super hero among us. And He's waiting to save the world. He's in control and no earthly mess will intimidate him. No political argument will ever take Him down. No terrorist will ever touch Him. Ever wonder what grace is? I'm learning that grace is the light that makes its way through the darkness when it feels like nothing else will. Grace is that moment when you realize you're not in control and that it's the most liberating feeling in the world. Dejection has a way of engulfing me when I lose control of my life. Grace takes a deep breath and finally understands that help is closer than I think. Grace hushes the whispering lies in my head and gives me another chance. And I? Well I asked for another chance. And this time when I asked, I looked the parents in the eyes, unashamed. I was not in control, but there is one who is. I am not in control and it's the most intoxicating feeling in the world. This time, when I stuck the needle in the back, I didn't do it alone. I had a super hero beside me and everything would be all right. And everything was all right. Are you carrying the weight of the world on your shoulders today? You are not in control and it's the most intoxicating feeling in the world. There is a King is among us. Our super hero is here. Whether you're neck deep in your own messes or carrying the weight of the rest of the world on your shoulders, it's time to step aside and watch our superhero do it again. Watch him save the world. Watch him save your world. Watch him do it again. There's a song I've been addicted to. It's called "The King Is Among Us". I sums up what I'm trying to say. Why don't you take a minute and listen to it right now? I have a feeling you'll love it. Hey, don't forget that Morning Minutes is up and running and it's been AWESOME! Click here to listen to today's episode. Also don't miss the Faith Boosters on Youtube. We'll be dropping one in the next 24 hours. Look for it!